Cover has some wear. Inside pages are nice and clean. One page is missing a corner (no printing lost). No map. 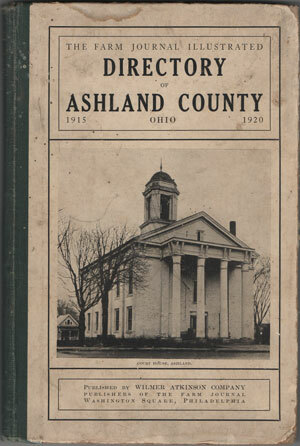 A directory of residents of Ashland County, Ohio that includes the name of head of household, name of wife, occupation, number of children, and address.